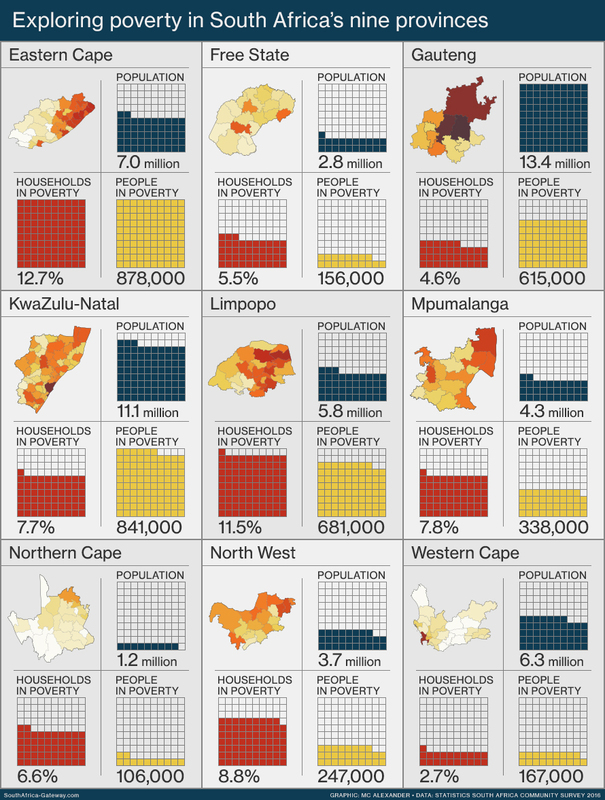 KwaZulu-Natal is the second-poorest province in its number of people living in poverty, but North West has a larger share of poor households in its population. The Northern Cape has the fewest poor people, but 6.6% of households in its small population live in poverty. In Gauteng, only 4.6% of the population live in poverty. But the poverty experienced in Gauteng, the wealthiest province, is the most intense.